CRAPTASTIC: Five Feature Friday #19! I'm really exited about this week's FFF! There are a ton of great projects! Also, keep an eye out for a great giveaway that starts tomorrow! 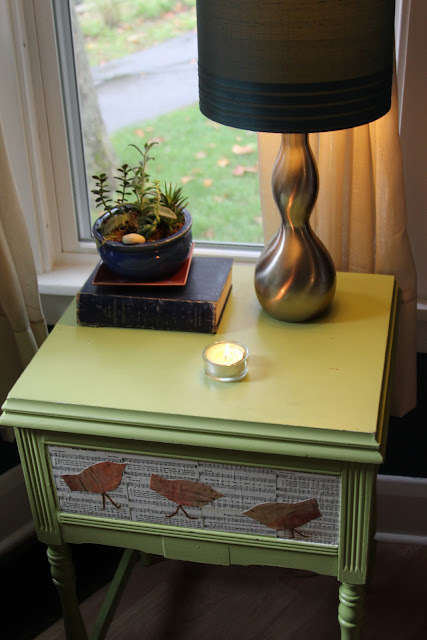 This side table makeover from Que Linda is drool-a-licious! It looks perfect with the glaze and hardware - even better against that gorgeous backdrop! This birdie side table from ReMade Simple is simply adorable! The little birdies on the front are just adroable! 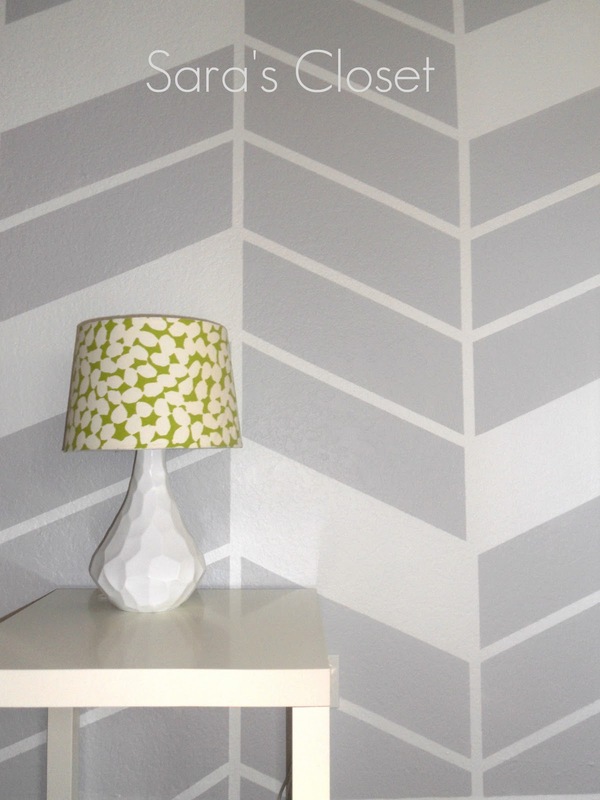 I'm in love with this herringbone wall from Sara's Closet! I may have to find a wall in my house to do this! Love that lamp too!! This burlap bubble wreath from The Table inspired my own Christmas burlap wreath! Her's is absolutely adorable! Love the birdie she added to it as well! Green Briar Goods did such a great job on this dresser re-do! Again with the bold color and white peeking through! Drool!! Hi Katie, great features as usual,love the red chest from Green Briar Goods. Thank you for the feature Katie! Yours turned out great, love the wrapped ornaments! 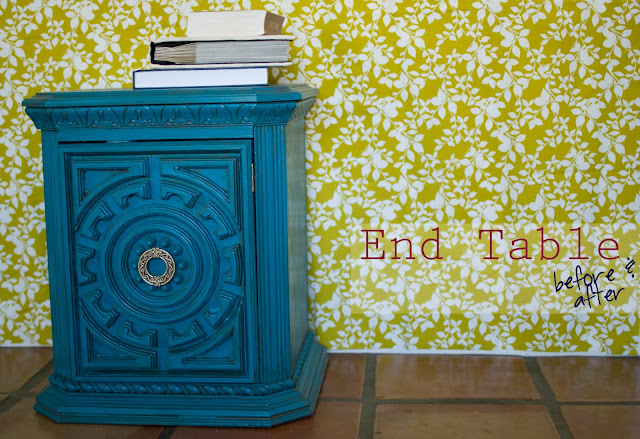 Thanks for featuring my end table!! Katie, thanks so much for the sweet comments & for the feature!! That wall was gorgeous... I know I would never have the patience, but WOW! Such a statement. 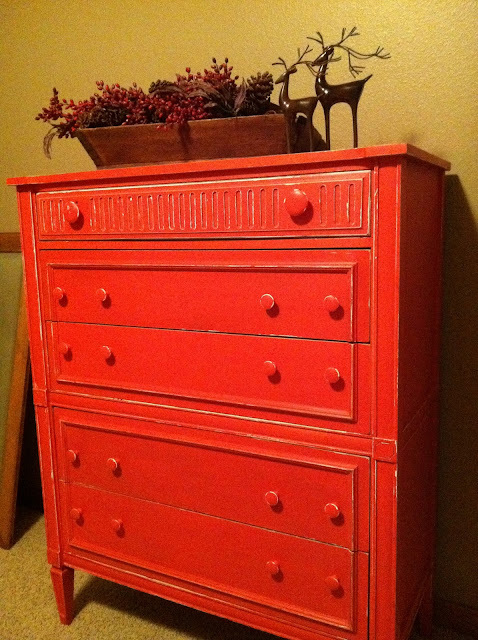 Thank you for featuring our "Merry" dresser...cute blog...we are now followers:) Happy Holidays. crapola! I forgot to visit your features on Friday D'oh! I'm loving the bird table and that first blue table looks A LOT like one I'll be posting on my blog soon!! I'll slapping my hands for missing your Friday post...won't do it again...promise!! thanks so much for featuring my songbird table! I love this project! The bright pops of color are wonderful! I found you through Eisy Morgan, and I'm your newest follower!